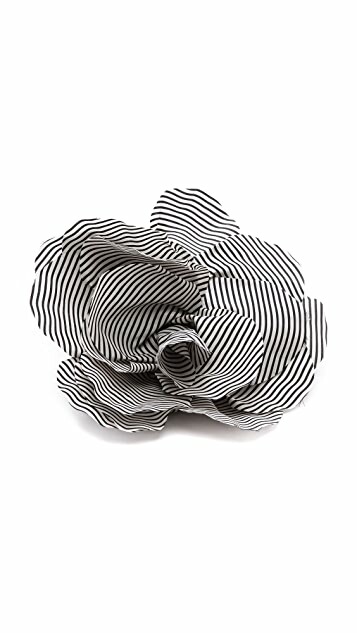 Striped silk fabric forms the petals of this oversized flower By Marlene Birger brooch. 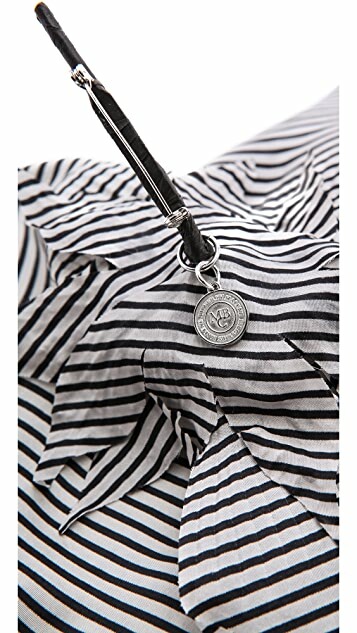 Pin closure. 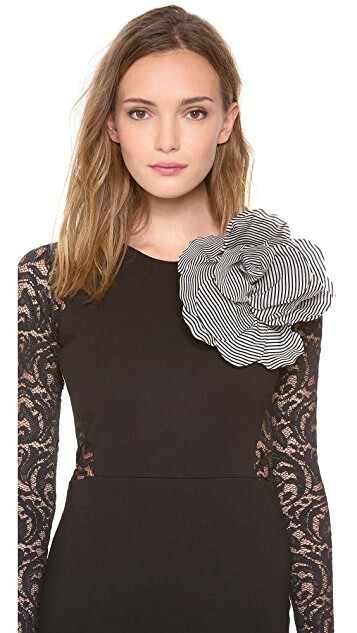 This flower is so elegant and classy. I was a little worried that it might get smashed during the shipping process but is actually arrives as a bud for you to open up. Very cleaver.